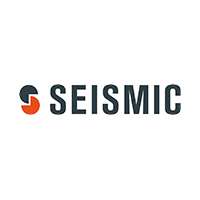 Seismic is the recognized leader in sales and marketing enablement, equipping global sales teams with the knowledge, messaging, and automatically personalized content proven to be the most effective for any buyer interaction. Powerful content intelligence and analytics enable marketers to prove and improve their impact on the bottom line, revealing what is really driving revenue and what needs to be adjusted. The result for more than 500 global enterprises including IBM, American Express, PayPal, and Quest Diagnostics is better win rates, larger deals, and higher customer retention. Seismic is headquartered in San Diego with additional offices in North America, Europe, and Australia.